She found a pen, and at the bottom of the page drew a phalanx of fish dropping from a rain cloud. Of course, I knew that a phalanx referred to a group or mass of something and I vaguely remembered it had military connotations. But I knew nothing about the word’s etymology. It turns out the word is Greek, from phalangos, meaning “finger.” In Ancient Greece, a phalanx was a rectangular mass military formation, usually composed entirely of heavy infantry armed with spears, pikes or similar weapons. As used today, the term does not refer to a distinctive military unit or division but to the general formation of an army’s troops. Thus a phalanx does not have a standard combat strength or composition but includes the total number of infantry to be deployed in action in a single phalanx formation, which is marching together as one entity. 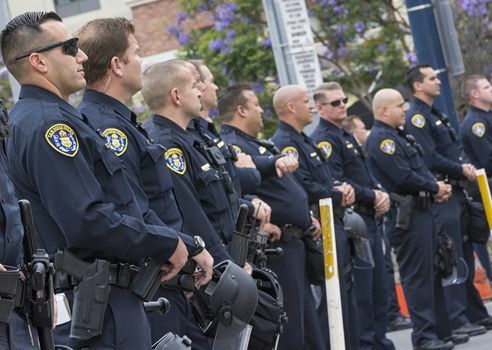 The word has come into use in common English to describe “a group of people standing, or moving forward closely together,” as in a phalanx of police. And, of course, literary writers will use it in a metaphorical sense to describe anything that moves in a tightly-knit group.